Learn more about onshore gas. What’s the difference between conventional, shale and coal seam gas extraction and what are the potential environmental, social and economic impacts and opportunities of these two extraction processes? Take a look at the short animations to find out. Unearthing conventional gas animation explores what conventional gas is, how it is extracted and some of the challenges involved. Narrator: Natural gas is mainly methane formed over millions of years from the breakdown of organic matter in rocks like shales and coals. Over time gas can migrate up from the source rocks, either reaching the surface or becoming trapped under a layer of impermeable rock. Conventional gas resources are trapped within layers of permeable rock like sandstone which allows liquid and gas to flow through making it possible to extract with conventional techniques. Unconventional gas resources are trapped within less permeable rocks such as shale or coal which need techniques like hydraulic fracturing or dewatering to extract the gas. Once a gas reservoir is targeted and the well drilled, steel casing is cemented in place sealing the well bore from the surrounding environment. Gas then flows to the surface where it’s collected and processed. Additional wells may be drilled to check the resource and increase production. Conventional gas drilling uses around one to two megalitres of water, less than an Olympic sized swimming pool, depending on the well depth, diameter and geological conditions. After all viable gas reserves are extracted wells are plugged with cement and capped to stop gas escaping. Australia’s gas extraction regulations are world leading and potential impacts must be managed appropriately. Some people are concerned about potential environment impacts of the industry, like possible surface and groundwater contamination from accidental surface spills or leaks of drilling fluids, waste water and by products. These could impact water for drinking or farming. Others are concerned about potential impacts of the industry’s greenhouse gas footprint and the changes to agricultural landscapes. As fewer gas wells are needed to extract conventional gas, than coal seam gas, a smaller surface area is disturbed. CSIRO’s research aims to better understand these impacts and ensure socially and environmentally responsible development. Narrator: Coal seam gas has been part of Australia’s energy mix since it was first produced in Queensland in 1997, and development of the resource has been steadily increasing since then. Coal seam gas is mainly methane found within coal deposits trapped underground by water pressure. To access the gas, a well is drilled – anywhere from 300 to 1000 metres deep through various layers of rock – to the coal seam. To protect groundwater from being contaminated the well is lined with cement and steel casings. Water already in the coal seam is pumped out to release the trapped gas. If water and gas don’t flow freely, hydraulic fracturing, also known as fracking, may be used to increase the rate of flow. Hydraulic fracturing involves perforating the casing at different levels along the well, to gain access to the coal. Water containing chemical additives is pumped under high pressure down the well, opening up existing fractures and creating new ones. Proppant, such as sand is then added to the water that flows through to the fractures. The sand keeps the cracks open allowing the gas to flow to the well and up to the surface. Produced water and gas are pumped to the surface, and separated at the well head. The extracted gas is processed and transported for domestic and international use. Produced water is treated to remove salts and other chemicals and then either re-used or disposed of according to state government regulations. A source of concern is that hydraulic fracturing fluids may leave the coal seam and enter fresh water aquifers, which are layers of porous permeable rock that allow water to flow through easily. This risk is reduced by layers of rock with low permeability, known as aquitards, which limit water flow and can act as a barrier. Contamination of groundwater is more likely to occur as a result of accidental surface spills or leaks of produced water and hydraulic fracturing fluids. Another impact is the lowering of water levels in aquifers. Removing large amounts of water from the coal seam decreases the water pressure within the rock layer containing coal deposits. Water in the aquifers can then move towards the coal seam. Just how fast and far this happens depends on the type of and connectivity between the aquifers and aquitards. Other potential environmental impacts include the industry’s greenhouse gas footprint, fragmenting of local habitat, changes to agricultural landscapes and rural communities. 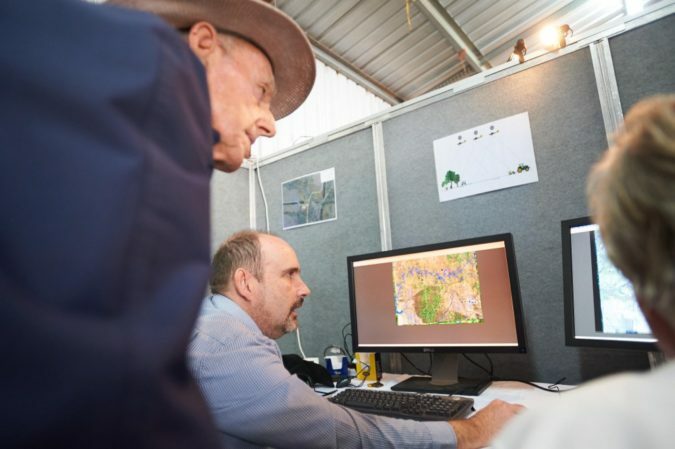 CSIRO is conducting research to better understand the impacts of coal seam gas development and develop sound technologies and practices to ensure socially and environmentally responsible development. Narrator: Shale gas is mainly methane trapped within shale rock layers at depths greater than 1.500 metres. Australia’s shale gas industry is largely in the exploration phase. This involves drilling vertical and horizontal wells and hydraulically fracturing, or fraccing, the shale rock to see if gas can be produced economically. When in the production phase, wells are drilled anywhere from 1,500 to 3,000 metres deep, through various layers of rock to access the shale. To protect groundwater from contamination the well is lined with cement and steel casings. Horizontal drilling is a technique used to maximise shale gas recovery and minimise surface impacts. Before gas production can start hydraulic fracturing needs to occur. This involves perforating along the horizontal portion of the well to gain access to the shale rock. Proppant, such as sand is then added to the water that flows through to the fractures. The sand keeps the cracks open allowing the gas to flow to the well and up to the surface. This process is repeated several times within the horizontal portion of the well, with each fracturing stage separated by a plug. At the end of the hydraulic fracturing process the plugs are removed and production can start. Shale gas and any produced water flow to the well and are pumped to the surface and separated at the well head. Extracted gas is processed and transported for domestic and/or international use. The produced water is treated, then either used in future hydraulic fracturing jobs, or disposed of in accordance to state government regulations. A source of concern is the amount of water used in the hydraulic fracturing process. An average of 20 mega litres of water can be used per well, which would fill about eight average Olympic sized swimming pools. Another possible impact is groundwater contamination from accidental surface spills or leaks of produced water and hydraulic fracturing fluids. CSIRO is conducting research to better understand the impacts of shale gas development and develop sound technologies and practices to ensure socially and environmentally responsible development.